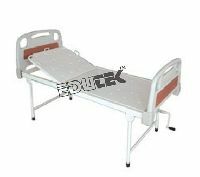 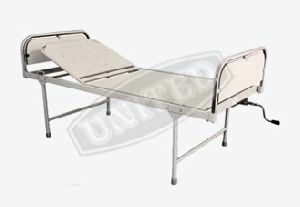 Fowler Position Bed - Deluxe, Backrest and knee-rest adjustable by two separate crank levers from foot end.Mounted on four castors of 10cms (two with brakes).Pre-treated and powder coated.Size : 198x91x60cm. 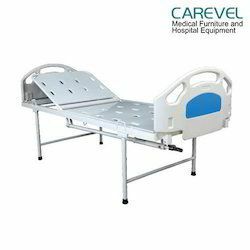 Backrest and knee break position adjustable through crank, Removable tubular head & foot bows, Provision for Mosquito net poles. 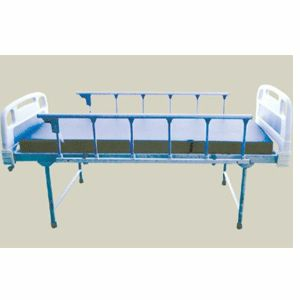 Frame size: : 203 (L) x 91 (W) x 60 (H) cms. 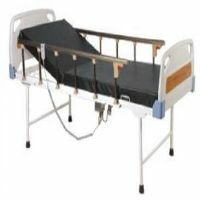 Fowler Position BedBackrest and knee-rest adjustable by two separate crank levers from foot end.Complete with S.S. tubular head and leg bows with laminated panels.Mounted on four castors of 10cms (two with brakes).Pre-treated and powder coated. 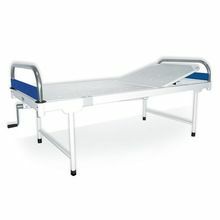 Matt Surface : 188 L X 90 W cm. 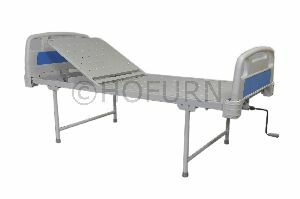 Features : Non rusting 12.5 cm (5”) approx castors, two nos. 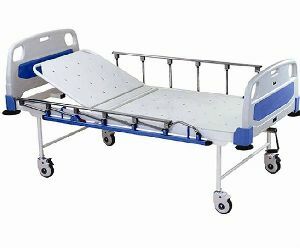 with brakes. 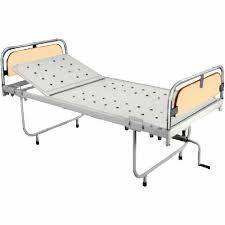 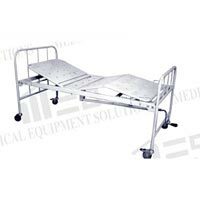 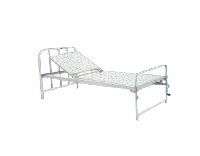 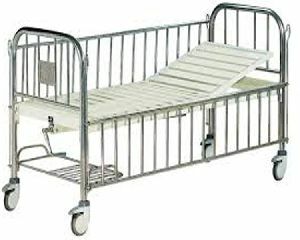 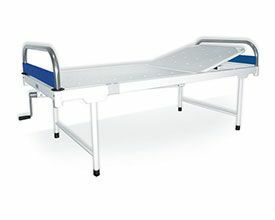 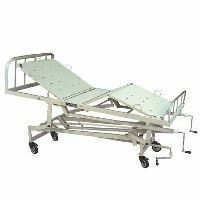 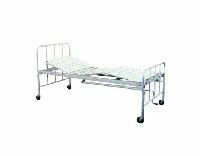 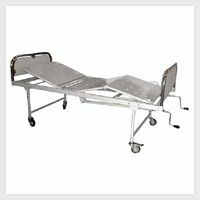 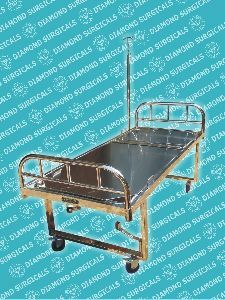 Semi fowler bed, Two sections uniformly perforated 20 SWG CRCA sheet, S.S. head & leg bows, Epoxy powder coating for scratch resistance, Mobile on 4 (125mm) diameter castors with 2 brakes diagonally fitted with brakes. 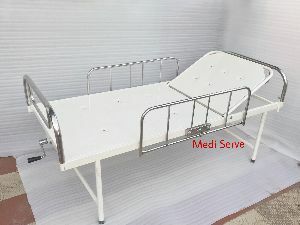 Size : 1880 × 880 × 580 mm. 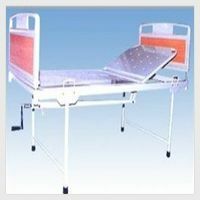 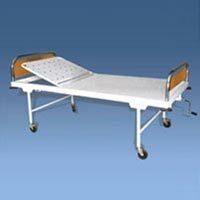 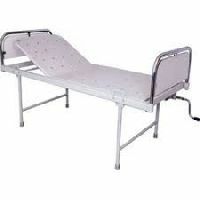 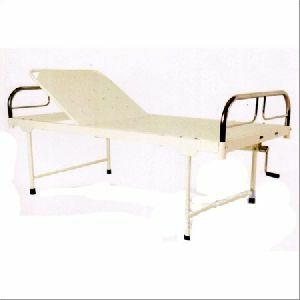 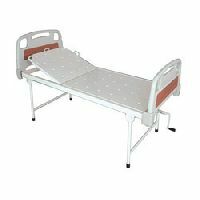 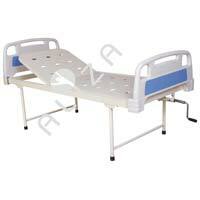 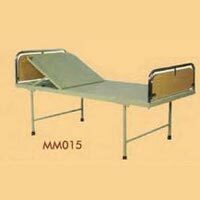 We are offering semi fowler bed with back rest movement and abs panel. 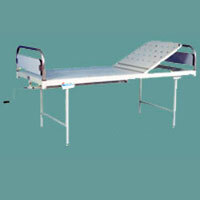 Two sections perforated CRCA sheet top bed. 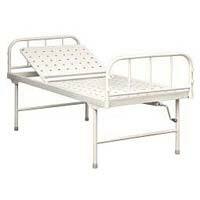 Back rest adjustment on ratchet. 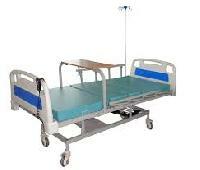 Precise rectangular tubular steel frame work. 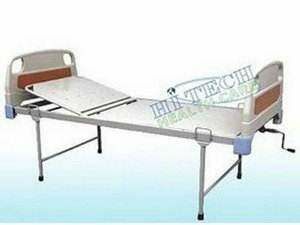 Strong “H” shaped legs on rubber stumps. 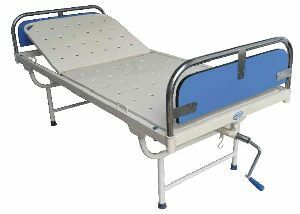 Location provided for I.V. 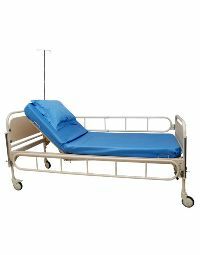 Rod & all accessories. 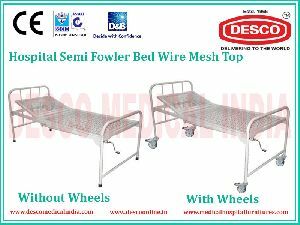 We offer semi fowler beds.